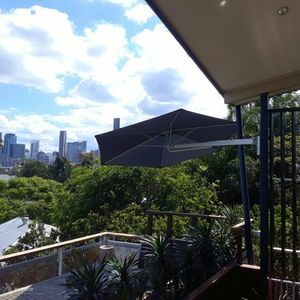 Designed to be attached to a wall or a pillar/post, the SU3 Wall Umbrella is an ideal solution in areas where space is at a premium or there are ground fixing restrictions. Effortlessly simple to operate, the SU3 folds away tidily when not in-use and can be completely removed from its mounting without the use of tools. The bracket is secured to the wall and the umbrella is mounted from it. 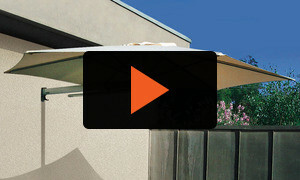 The umbrella can be collapsed down and folded away against the wall or completely removed from the bracket when not in use.